Well it was time to head off too Sydney again on business for a few days, but this time I will be taking Friday off and spending Friday and Saturday at Rydges Airport Hotel doing some plane spotting. As usual my flight was at 6.30am so I set my alarm for 4am (even though I had been awake since 1.30am) I headed off to the airport at 4.30am arriving around 5.10am. After checking in my bag I headed up stair to the Qantas lounge and waited for my Qantas flight 503 to Sydney. we made a small left hand turn and then a right hand turn at set course for Sydney climbing to flight level 390. The ride was very smooth and comfortable. We began our descent at 7.22am and landed on runway 34R in Sydney at 7.59. We taxied to gate 3 arriving there at 8.06. After attending a few business appointments with our Sydney reps it was time for a quick photo of the Opera House and the famous Sydney Harbour Bridge. Yesterday I got up a little before 5am with excitement in the air; I was once again heading to an airport but this time an airport I have never flown into or out of before. 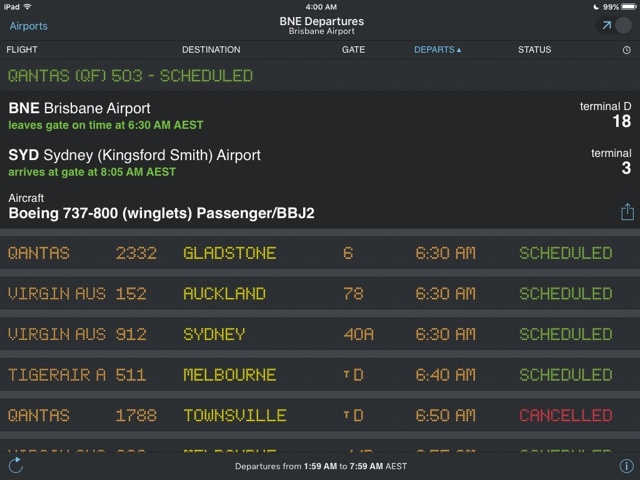 The airport was Archerfield (YBAF) and just before 6am a group of aviation enthusiasts gathered there for a 6.30am departure to a small airfield called Watts Bridge about 20 mins by air west of Brisbane. Below are some of the 585 photos I took yesterday. We taxied out at 6.45am and became airborne from 28R right on 6.48; we climb to around 3,500 and 22 mins later we were on the ground at Watts Bridge landing on their grass strip runway 12 at 7.12am. Watts Bridge Memorial Airfield is located near Toogoolawah in South East Queensland and is around 1 hour 50 mins drive from the city of Brisbane. Watts Bridge Memorial Airfield features three well formed grass runways suitable for almost all types of recreational aircraft. Obviously Watts Bridge does not have a control tower so pilots are required to communicate via a Common Traffic Advisory Frequency (CTAF) to safely co-ordinate arrivals and departures on 127.3 MHz CTAF “WATTS UNICOM” and 129.0 MHz Area freq. Apart from the over night campers we were one of the few there as the gates didn't open until 9am. As there weren't many planes around or people we could walk amongst the parked aircraft out on the field without to much hassle, but that changed as the morning went on. The show started at 12.20pm with a flag drop and then the fun began. Well after 9 awesome hours on the ground it was time to go home, but the excitement was about to be turned up another notch in the way of me being co-pilot on the way home. For 25 mins I lived a dream of being a pilot and this will stay with me forever. We taxied out at 4.17pm and we one of the few to get out early; we lined up on runway 30 and started rolling at 4.21pm. Airborne we performed a long slow bank left and headed for Archerfield. We touched down on runway 10L at 4.46 and taxied to the terminal. Special thanks goes to Simon and Marlene for organising this fly in fly out and for James our pilot for getting us there and back safely.